Tunisia tourism makes return with revenues up nearly a third - The Maghreb Times ! Tunisia’s tourism industry, hard hit by jihadist attacks in 2015, has undergone a “real recovery” with revenues up nearly a third so far this year. Tunisia’s tourism industry, hard hit by jihadist attacks in 2015, has undergone a “real recovery” with revenues up nearly a third so far this year, the sector’s minister said Wednesday. 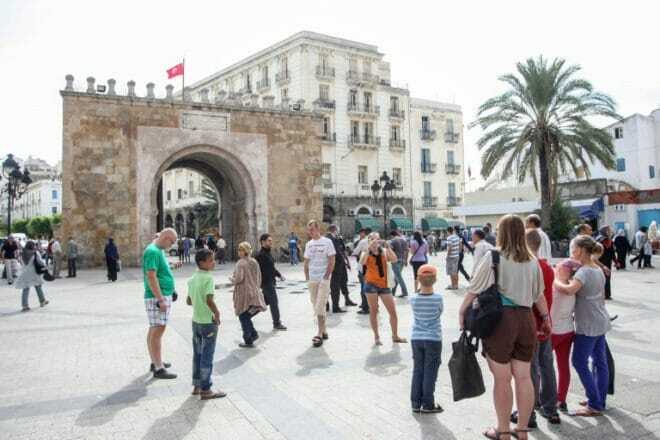 “There is a significant improvement,” tourism minister Selma Elloumi Rekik told AFP, as visitor numbers bettered the first five months of 2014, largely due to rising Russian and Chinese arrivals. The jihadist attacks of 2015 devastated Tunisia’s tourism industry, including one at the National Bardo museum in Tunis and another targeting a beach resort in Sousse that together killed 59 foreign tourists and a Tunisian guard. Visitor arrivals surpassed 2.3 million through to May 20, up 21.8 percent from the same period last year and 5.7 percent higher than for the same period in 2010. Sector revenues hit $357 million (305 million euros), up 31.8 percent year-on-year. “This is the year of real recovery,” said Elloumi, adding that all hotels in key tourist hotspots Djerba, Hammamet and Mahdia are full for the summer season. The recovery is driven in part by the “traditional market,” including France and Germany, up 45 percent and 42 percent respectively, the minister said. Visitors from China and Russia surged 57 percent and 46 percent. “In 2018, we will surpass eight million visitors with growth from the Russian and Chinese markets as well as the traditional market,” Elloumi said. “People are coming back to Tunisia because there is security… we are at the same level (of security) as any European city,” she said. The return of tour operators including TUI France and Britain’s Thomas Cook, which pulled out after the 2015 attacks, has also helped buoy the figures.